The battle over the future of chimpanzees in research has reached a critical point. Chimps are humans' closest extant relatives — and as such, they are arguably one of the best animal models available for biomedical investigations that have the potential to save countless human lives. But for many, the similarities chimps share with humans removes the option of enlisting them in invasive biomedical research from the table entirely. Out of these opposing viewpoints emerges one of the most pressing biomedical conundrums we've faced in recent history: given the parallels between chimps and humans, is it more unethical to allow research on chimps, or to prevent it? Biomedical research on chimps helped produce a vaccine for hepatitis B, and is aimed at one for hepatitis C, which infects 170 million people worldwide, but there has long been an outcry against the research as cruel and unnecessary. Now, because of a major push by advocacy organizations, a decision to stop such research in the United States could come within a year. As it is, the United States is one of only two countries that conduct invasive research on chimpanzees. The other is the central African nation of Gabon. "This is a very different moment than ever before," said Wayne Pacelle, president and chief executive of the Humane Society of the United States. 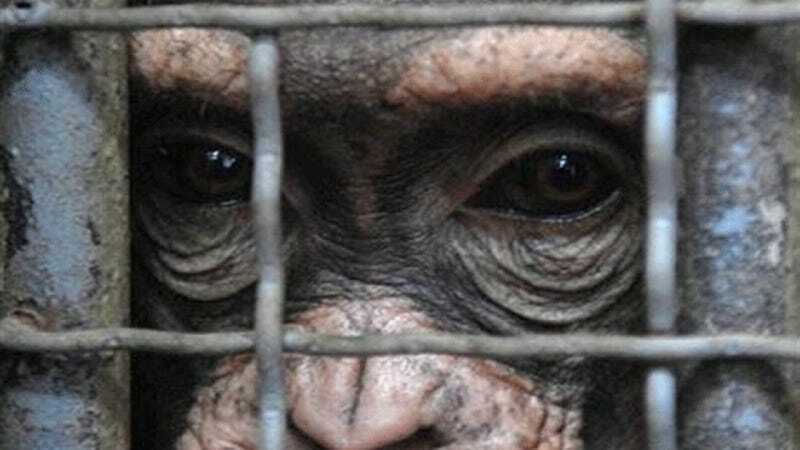 "Now is the time to get these chimps out of invasive research and out of the labs." John VandeBerg, director of the Southwest National Primate Research Center in San Antonio, one of six labs that house chimpanzees, agreed that this is "a crucial moment." Any of several efforts by opponents "could be the cause of a halt in all medical research with chimpanzees," he said.